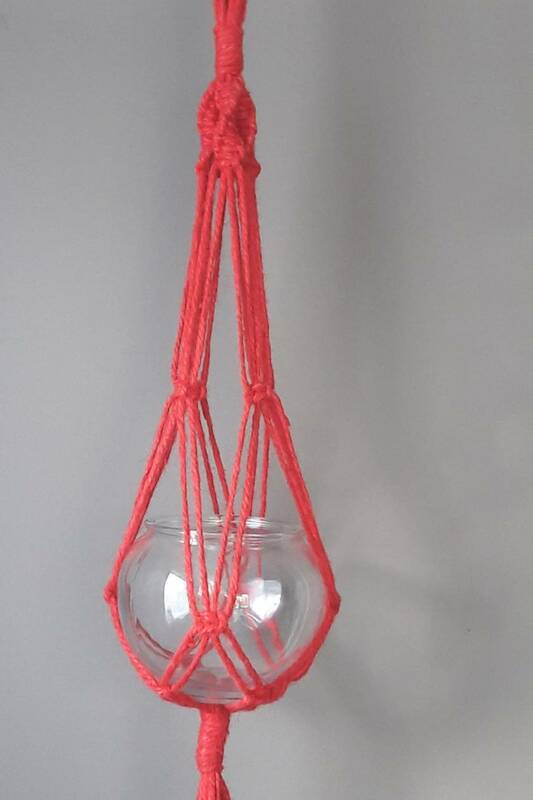 Red jute macramé plant hanger with a round glass bowl. There are no drainage holes in the bowl so would be ideal for a terrarium or succulents. Contact busybeaver to enquire about payment or shipping options.